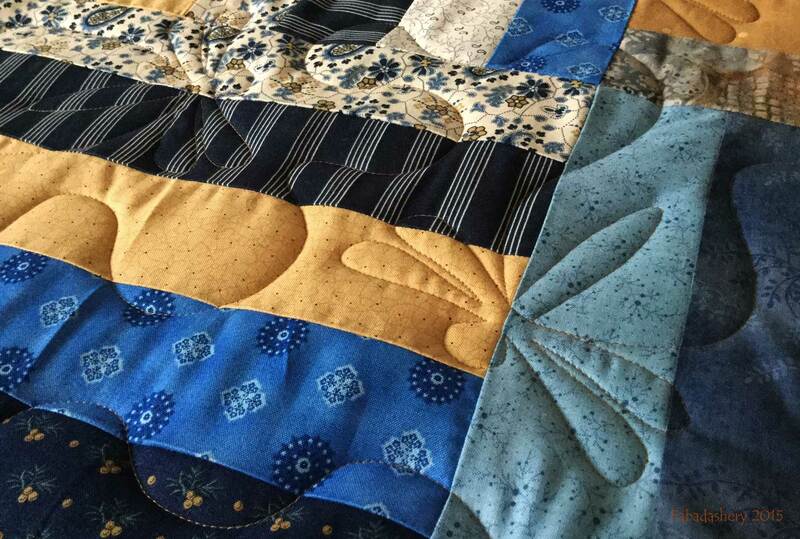 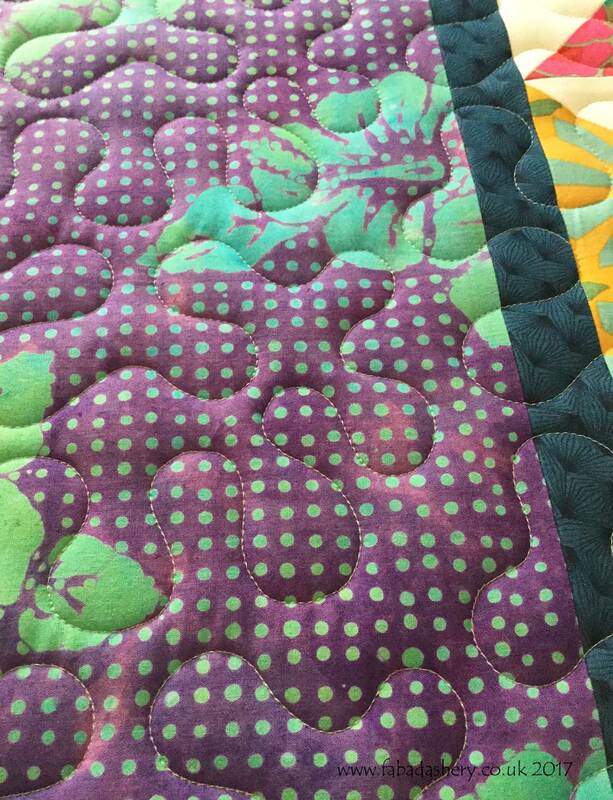 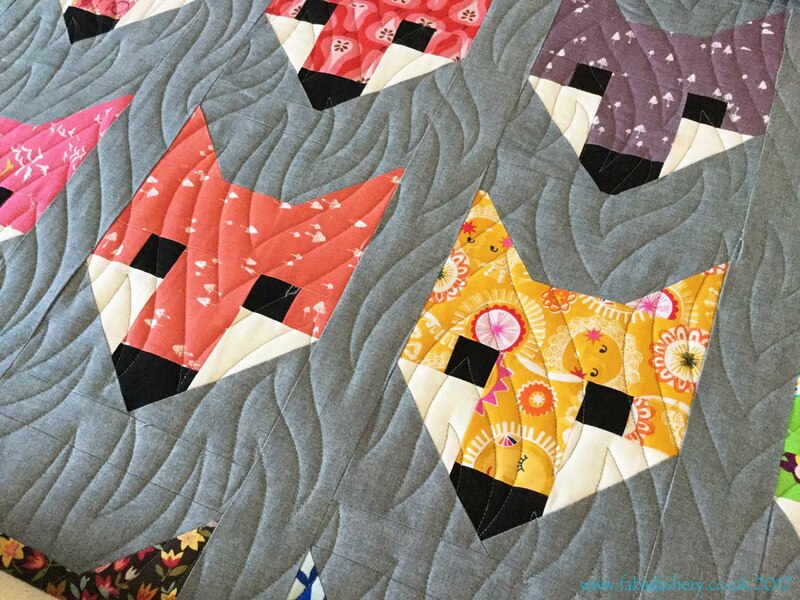 This is the second Allietare Mystery quilt which has been on the Fabadashery long arm quilting frame and this one is made by Catherine. 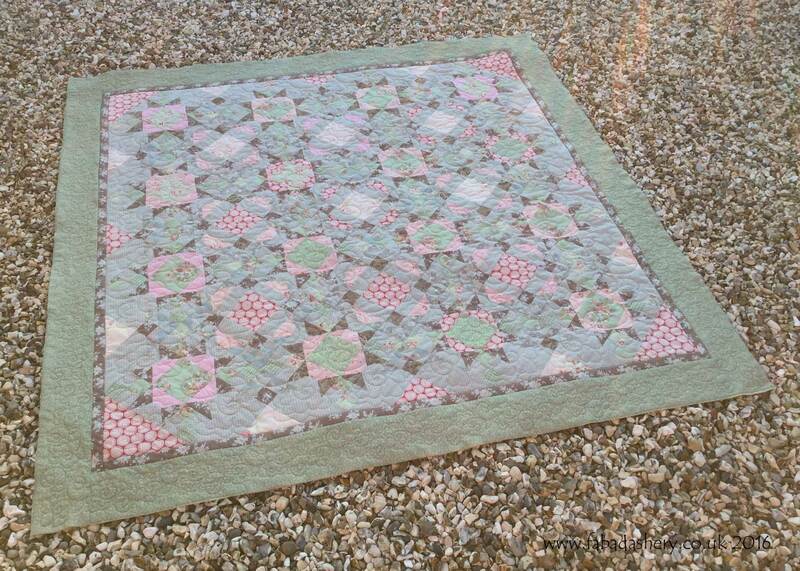 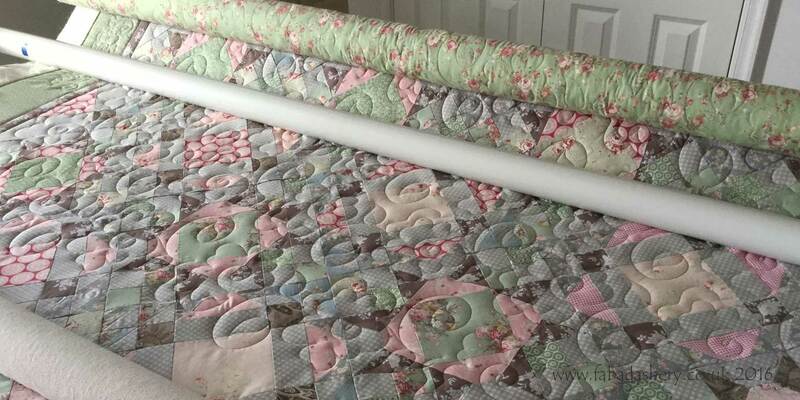 It is made using mainly Tilda fabrics and is backed with a co-ordinating Rose and Hubble floral print. Which thread should we use? 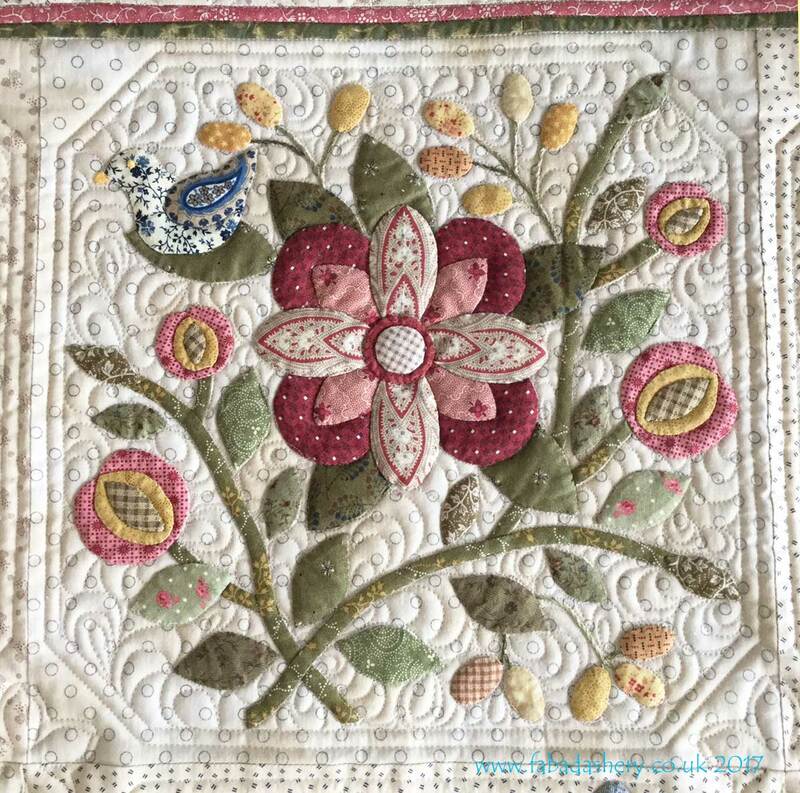 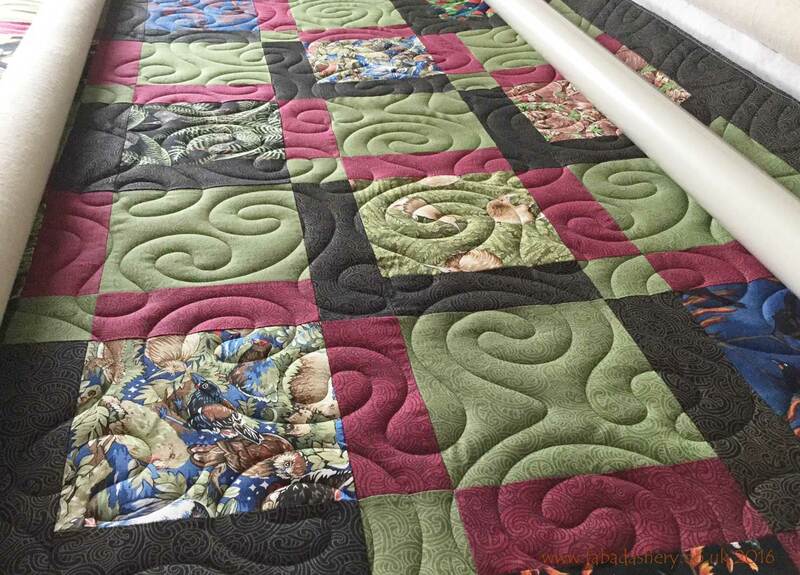 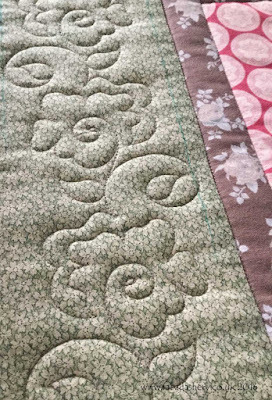 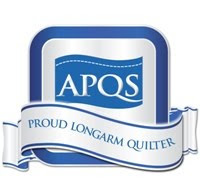 Catherine wanted a flowery quilting pattern for the centre of her quilt with a different treatment for the border so we chose a digital pantograph, 'Topiary' by Patricia Ritter, which has meandering flowers and leaves. 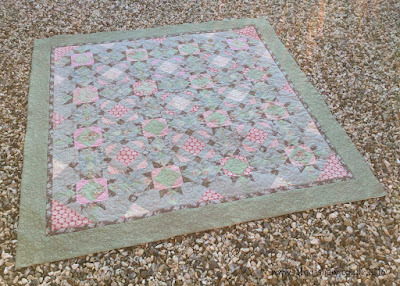 I stitched in the ditch on either side of the inner border and then added the same Topiary pattern along the border. Turning a quilt top into a quilt has to be my favourite part of the quilt making process. 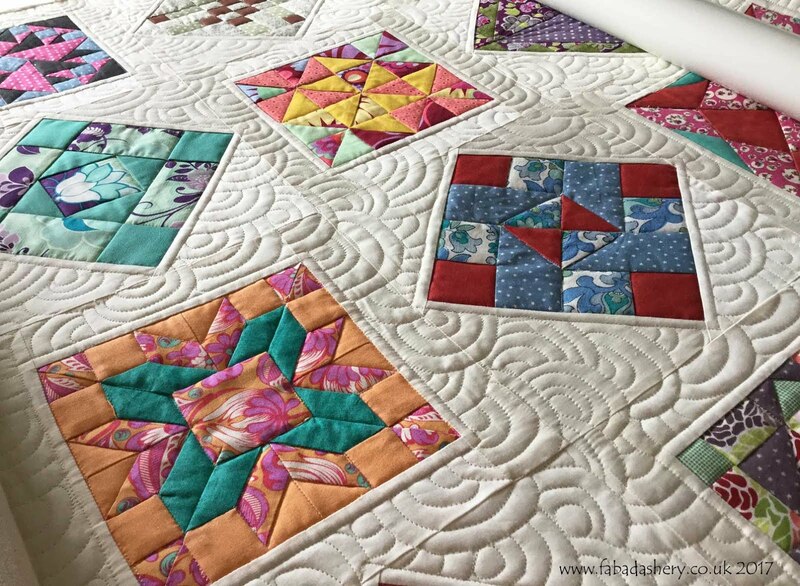 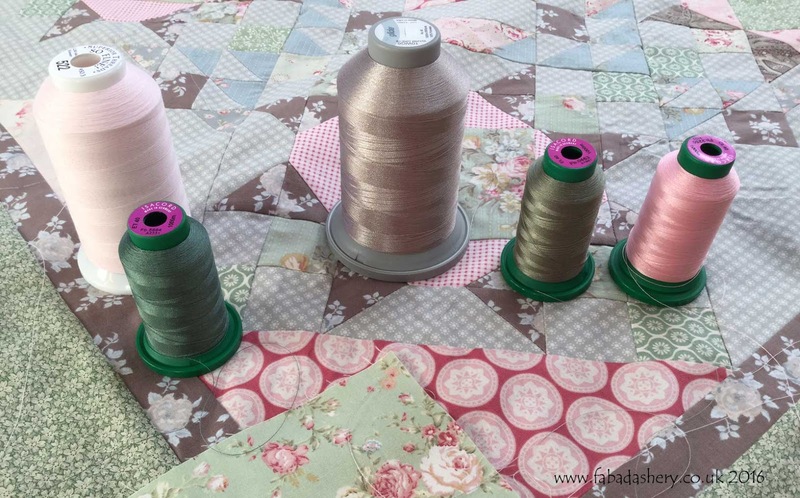 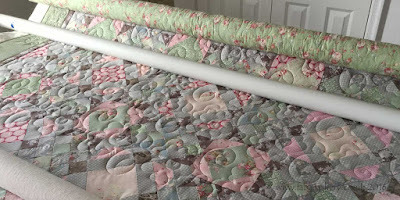 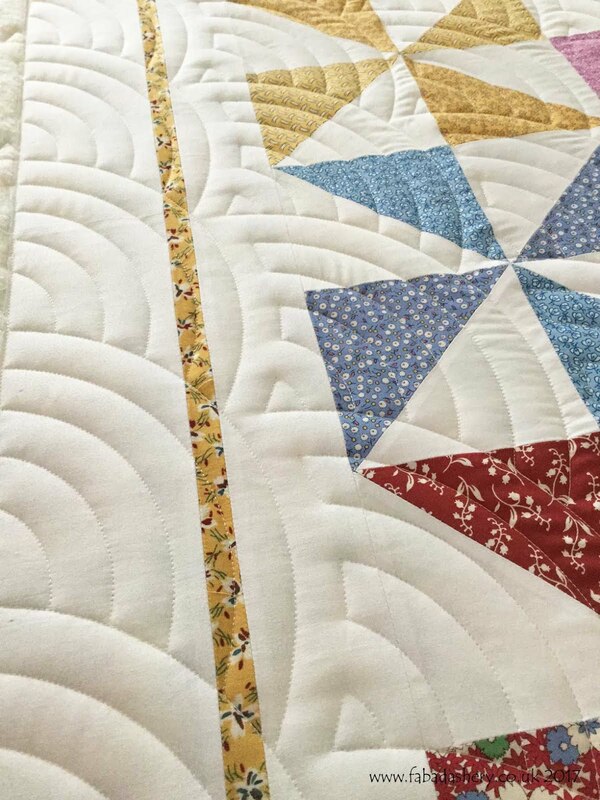 Even just laying the quilt top on the wadding takes it a step forward towards becoming a completed quilt, but once those first stitches go in it truly does take on a different dimension.